Members of the ACoRNS team presented at Scottish Autism’s 50th Anniversary Conference in Glasgow in November 2018. Hanna Kovshoff talked about our projects on transitions at nursery, primary and secondary school. 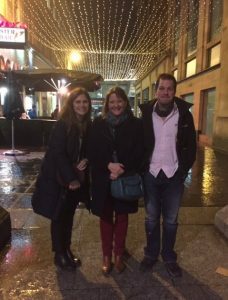 Sarah Parsons, Kathryn Ivil and Gareth Shaw talked about our project on the transitions of young autistic children at nursery school. We also presented a poster on our work around autistic looked-after children. The conference was a great opportunity to share the work of ACoRNS and we had plenty of good discussion and feedback. A summary of the transitions projects has been published in Scottish Autism’s SHARE magazine and is available here. Our poster on looked-after children can be found here.